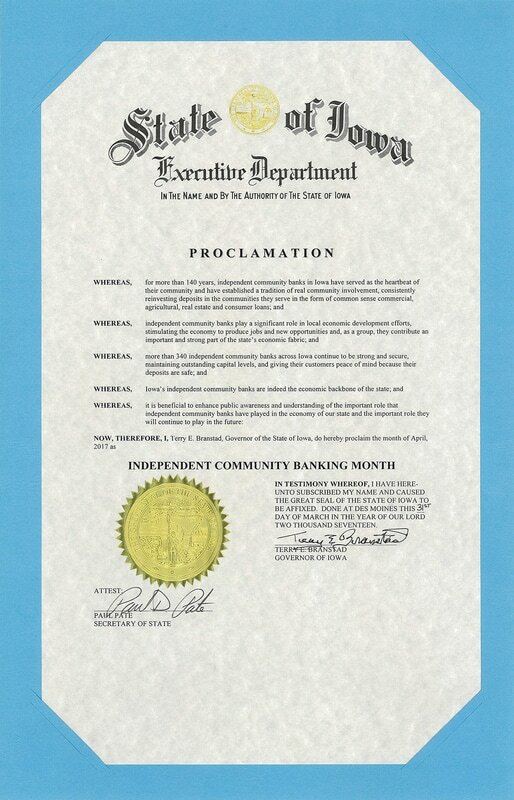 Proclamation recognizes the important role independent community banks play in Iowa’s economy. On March 31, 2017 CBI members witnessed Governor Terry Branstad sign a proclamation declaring April as Independent Community Banking Month. Those present included Iowa community bank presidents and members of CBI's Leaders of Tomorrow, during that group's 15th Annual Leadership Development Conference. Governor Branstad was pleased to sign the proclamation and recognize the vital role independent community banks have played and will continue to play in Iowa’s economy. $3.2 billion dollars in loans to consumers, small businesses, and the agricultural community. 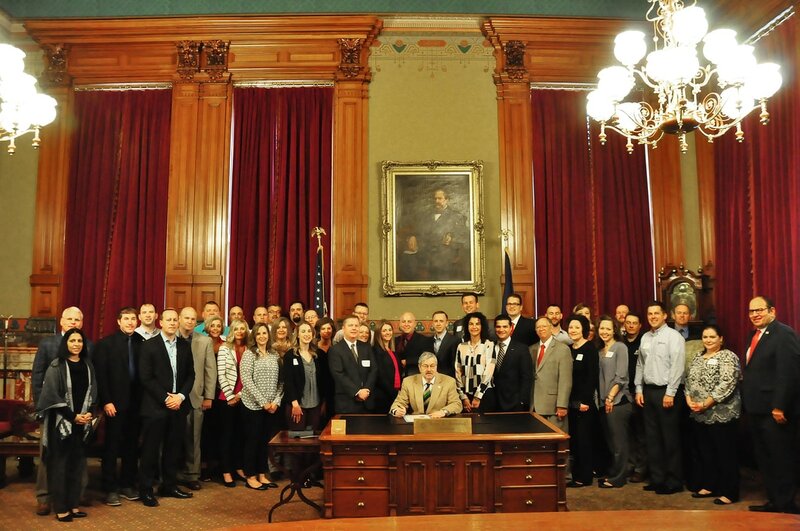 CBI Bank Member Presidents, CBI Staff, and members of the Leaders of Tomorrow group witnessed the signing of the proclamation at Governor Branstad's private office.